Experienced Stock Broker Misconduct and Securities Attorney Rochester Hills MI. Peter C. Rageas is Tough on Broker Malpractice! 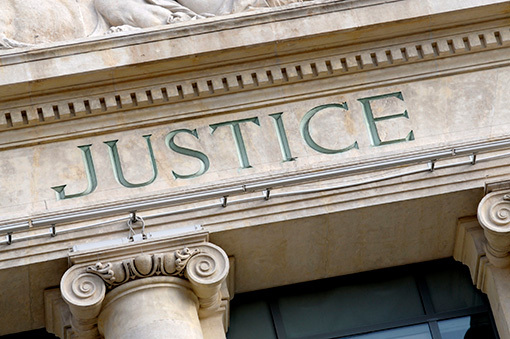 If you are a victim of broker negligence, let our legal team help you today! 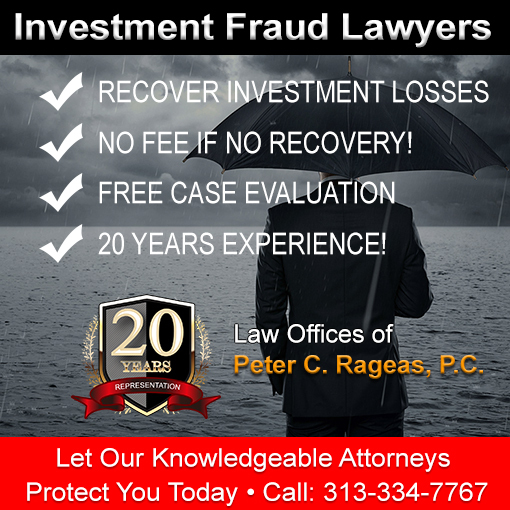 Securities attorney Rageas has over 20 years of experience defending clients from fraudulent investment advisors. We offer residents of Rochester Hills Michigan, the comprehensive legal support, and are always excited to fight for our clients rights! If you have been harmed by a stockbroker or investment professional, please contact our securities firm today. We have helped many investors fight against investment losses, stockbroker negligence, stockbroker malpractice, and more! Often, a financial advisor places their own financial interests ahead of yours. You need an experienced Securities Lawyer to fight for you! The Securities Law Offices of Peter C. Rageas, can help victims of stock broker and investment negligence. When making investments on behalf of their clients, brokers are required to obtain information that will allow them to make sound investment recommendations. Further, a stockbroker is required to understand an investor’s tolerance for risk, financial objectives and time horizon. 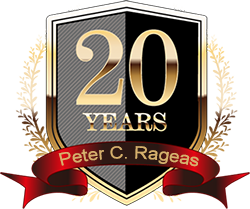 The lawyers at the Law Offices of Peter C. Rageas are the best choice to recover your losses. We have the experience and resources to protect our clients from corrupt stock brokers, call Today! Why does our law firm work on a contingency basis to defend your securities lawsuit? We understand Securities Litigation can be expensive. This affords our clients an opportunity to file a lawsuit against the negligent broker who caused your financial loss. More importantly, our clients are able to pursue their claim, without spending money initially for the payment of attorney’s fees. Our contingency arrangement helps individuals needing to file a case immediately, while not worrying about money to pay for the lawsuit. Our law firm has a high record of successful securities dispute resolutions. Don’t let a broker or investment advisor place their own financial interests ahead of yours. Contact our law offices for your No-Risk Consultation, and get back what you deserve! The brokerage firm is required by law to make complete disclosure to investors surrounding material risks that are essential to the investments recommended. The firm or the stock broker can be held responsible for securities losses including, misrepresentations or omissions of material facts. Omissions made to the investor regarding the risk involved with making a specific investment, can find the firm and broker are responsible for compensatory damages or losses sustained. 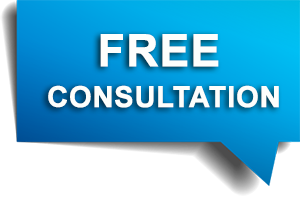 We offer FREE consultations to Rochester Hills residents, call today to speak with an experienced investment lawyer!